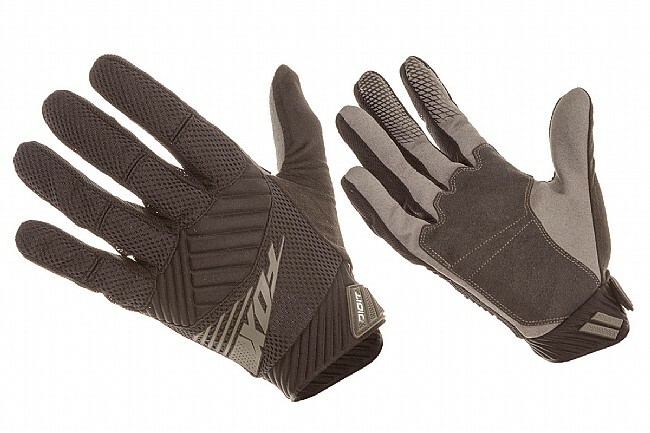 Fox's Digit Gloves offer exceptional venting and grip, resulting in fantastic comfort and excellent control. Its mesh backs and Clarino® palms are flexible and lightweight while still offering great feel and durability. Good value, especially on sale! This is a follow-up to an earlier review. This is a good intermediate glove, not as light as the older model Incline, which was my racing choice, and not as heavily padded as many of their all-mountain or DH offerings. Good for spring and fall. My only gripe is that the palm is not ergonomically contoured, however, because there are not multiple seams it's not a huge deal. I have had good luck with Fox gloves for the past 20 years of riding and racing. I finally wore out my favorite pair of their lighter weight Incline model, which was my favorite racing glove. I wanted a replacement that wasn't too heavy but still had a modest amount of protection. This model fits the bill. It is lightweight but not a semi-transparent mesh on the back. There is some flexible padding on the knuckles but it is barely noticeable. Durability is the only question. Hopefully these will last as long as my Inclines did. I typically wear a Large and these fit comfortably.